MAID SHARP-This Stallion has a champion pedigree and will carry on the tradition. He has points in Halter and qualified for the World Show with limited showing. This stallion has a terrific disposition! He was 16 hands at 2 years old and passes his size and great personality on to his babies. 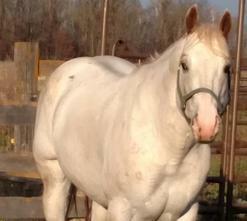 Although he has not been bred to many mares, he has averaged 85% color. If you are looking for a halter foal, breed your mare to Maid Sharp. Mares required to have current coggins. DESIGNED BY LEGEND-Zip was shown in Western Pleasure and English Pleasure. He received his ROM in Western Pleasure and is ½ point away from his ROM in English Pleasure with very limited showing. Zip has quietly achieved a 100% in color production and has been bred mostly to solid or minimally colored mares. If you are looking for a sire with a proven show record, excellent disposition and great pedigree, take a close look at Zip. 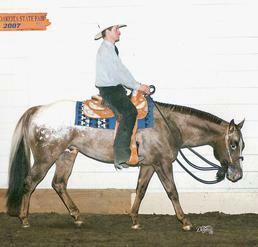 KNR Full of Class (AQHA)- "Hummer" is a fancy, refined Quarter Horse Stallion with a pedigree full of greats. He is proving to be a quiet, good minded stallion and we look forward to his future.